You’re predicting drama at the Emirates this weekend? Then insure your bet with Arsenal v Chelsea Betting Offer! You’ll receive a Free Bet up to $100 in case a goal is scored in the final 10 minutes of the match (81st minute or later) with Arsenal v Chelsea Betting Offer! This way you’ll get your investment back, no matter what side you back for the victory at the Emirates. All you have to do is place a wager on ANY single bet offer at Intertops and then you’ll be entitled to claim the Stake Back Offer in case the ball rolls in the back of the net in the final 10 minutes. But before that make sure to use following Bonus Code for the Arsenal v Chelsea Betting Offer: WEEKLYSB. The Gunners are the favourites 2.30 (+130) for the London Derby, but the Blues are not far behind them with odds of 2.85 (+185). But judging by the performance of both sides in recent games, we could be looking at a draw 3.35 (+235) this Saturday at the Emirates. Considering there could be a draw, we could expect a few blunders, so don’t forget to protect your bet with Arsenal v Chelsea Betting Offer. Former Gunners midfielder Cesc Fabregas could face his former club yet again this weekend, if Chelsea boss Antonio Conte decides to select him following his impressive performances during midweek that saw him score a brace against Leicester City in the EFL Cup. “It’s a new situation for me in my career after 12 years of basically playing everything for my club and national team, and it’s been tough, I’m not going to deny it,” confessed the 29-year-old, after getting much less minutes on the pitch this season following Conte’s appointment as Chelsea’s new manager. Place a bet on this Saturday’s match at the Emirates and in case the ball finds itself in the net in the final 10 minutes of the game, you can collect up to $100 in Free Bets with Arsenal v Chelsea Betting Offer! 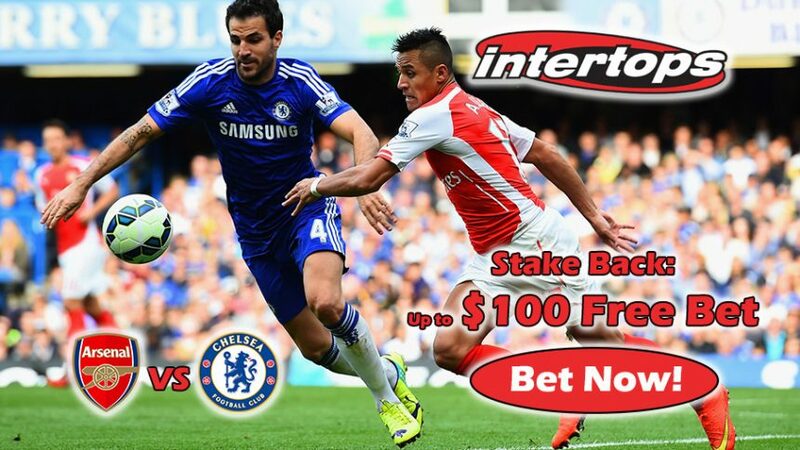 Insure your bet with Arsenal v Chelsea Betting Offer!